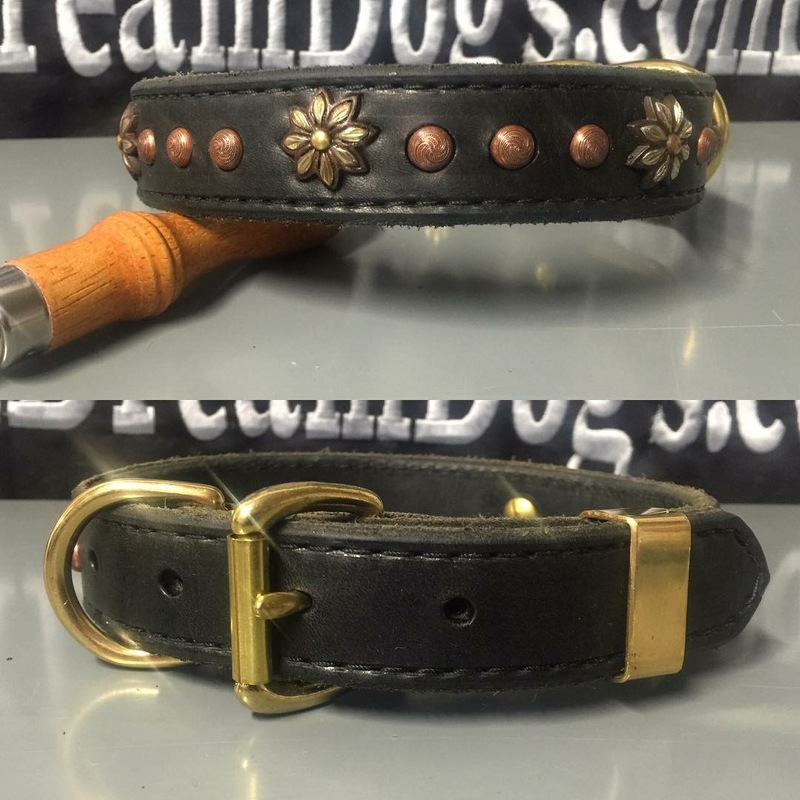 1″ Latigo Leather Custom collar. Made with spots & Conchos. With Solid Brass Hardware. Any dog will look good in this design! These are Quality Products for Quality Dogs! These are great for working dogs, show dogs, training dogs or just to walk down any street such as Rodeo Drive or Hollywood Blvd. Other colors are available, as well as other designs, you can mix and match your conchos, thread colors, lining colors to fit your lifestyle & bedazzle your very own collar. Any custom leather collar can be made in several sizes! SKU: N/A. Categories: Collars, Conchos, Embellishments.